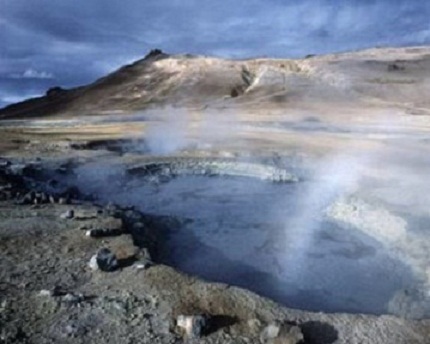 Places where the hot water comes out of earth like fountains are called geysers. It is known that inside the earth there will be highest temperature. water resources that are present inside layers will be affected with these temperatures. Generally it happens in places where more earth quakes and Fire Mountains are there. If the inside water resources gets heated more than hundred degrees centigrade, water will evaporate and slowly the pressure will pick up. Due to that pressure water inside the layers will come out from the cracks of the earth. These are seen more clearly in some places of America, Russia and Chile.